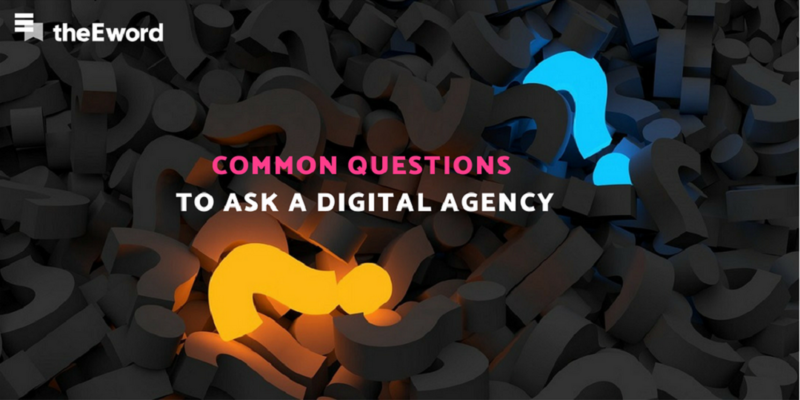 A: Use the right digital marketing tools for the job. It is – if you know which tools are right for your business. From designing eye-catching images to researching keywords and interpreting Analytics data, here are seven tools our team members swear by to create award-winning campaigns for our clients. As a certified HubSpot agency partner, we know HubSpot inside and out. Leading the HubSpot charge is our Head of Marketing, Michael Palmer. 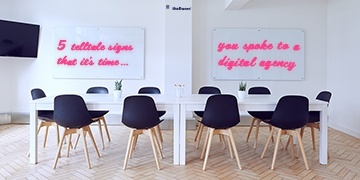 “As a content marketing agency, HubSpot is a lifesaver for us,” says Michael. “We use it to publish and promote content, generate leads and then, using sophisticated workflows, edge them along the buyer’s journey. As well as helping us manage and promote content for our clients, HubSpot has helped us communicate our own services more effectively. “The proof that it works is that we now generate a steady stream of leads through the landing pages that we’ve created to promote our recent product offering,” adds Michael. Want to see HubSpot in action? Here are some attention-grabbing landing pages our team created to promote our Digital Strategy Day competition and our Free Downloadable GDPR Compliance Checklist. 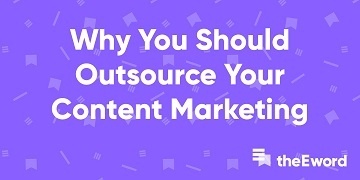 HubSpot doesn’t only help us promote content and generate leads internally. The platform has also helped our team create results-driven digital campaigns for our clients. Last year, we used HubSpot to enhance our content marketing capabilities during a campaign for Manchester Metropolitan University. The brief? Raise awareness of MBA courses, encourage visits to MBA course pages, and encourage downloads. In addition to helping MMU achieve its desired course numbers, our end-to-end campaign also won Best Low-Budget (under £50k) Campaign at the Northern Marketing Awards 2017! Want to learn more about our award-winning HubSpot campaign? Read the Manchester Metropolitan Case Study. 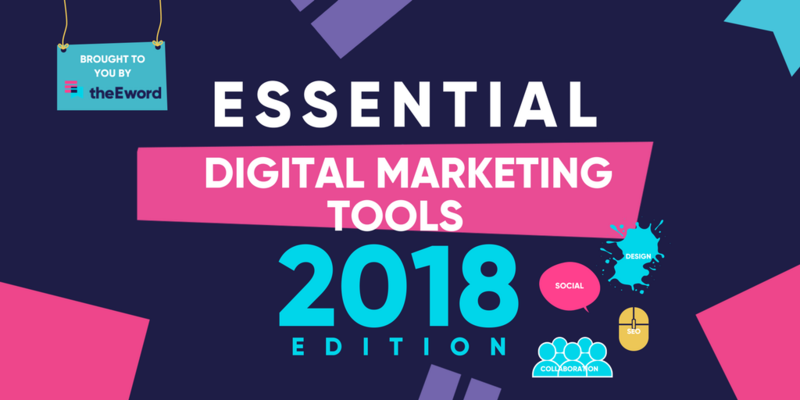 It wasn’t hard for our Head of Strategic Growth, Alex Coe, to make his selection for best digital marketing tool. The greatest tool of ALL TIME? Who can argue with that passion? Want to have clearer picture of where your tickets and services are (and are not) selling? With Excel and a little Google Analytics data under your belt, it’s easy. “First, simply download the sales data from your Analytics account. Where you have postcode data, filter that into postcode and type-of-ticket-bought columns. Then, upload that to Google Maps and now you have a visual map of where people are purchasing and which tickets are popular in which locations. Voila! Location-specific ticket sales data, beautifully displayed and easy to understand." Life as a content marketer is fast-paced, so Content Marketing Executive Callum Dawson looks for tools that offer data-led inspiration and insights. “I love Answer the Public,” he says. “Not only because of the bald, bearded man in the chunky turtleneck, but because it gives me long-tail keyword ideas for content. When you’re juggling several projects at once, you need a simple, easy-to-use system to ensure that everything stays in play. 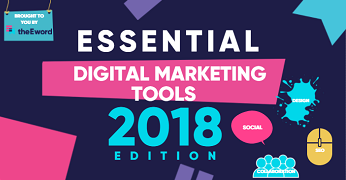 That’s why, for busy Senior Content Executive Fiona King, there could only be one choice for most essential digital marketing tool of 2018. Ever get that sinking feeling when you suspect you’ve forgotten to do something, but you’re not sure what? Yup – us too. But there are tools out there capable of making that feeling a thing of the past. For us, that system is Trello – the online visual collaboration tool. Trello allows your entire team to see (at a glance) who is doing what, and what still needs to get done. All the vital project information you need is on one easy-to-read dashboard. So, whether you need to arrange a meeting with your team, or you need to share important project notes, Trello is all you’ll need. “Canva bills itself as amazingly simple graphic design software – and it lives up to the hype,” says content-amplification whizz Amy Hirst. Intuitive, beautiful and oh-so-easy to use, Canva is the digital marketer’s best friend. With both free and premium versions available (don’t worry, you can do a lot with the free version), Canva allows users to quickly whip up professional designs for both print and web. We’ll let you in on a secret: EVERY image in this blog post was created using Canva. From blog graphics and flyers, to posters and social media graphics – Canva has you covered. Head of PPC Tom Britten hates wading through never-ending email chains. Luckily for him, online collaboration tool Slack is helping to put an end to crowded inboxes here at theEword. Without the distraction of a constant flow of internal emails, your entire team can stay connected, whilst remaining focused on work. There’s no reason to stick to the traditional video format. Live video is exploding in popularity. Here at theEword, we love the immediacy of live webinars and conferences. Recently, Michael lead a GDPR webinar during which he offered his expert insights and actionable tips to anyone concerned with how marketing will be affected by GDPR. Watch Michael's free GDPR webinar below or download our easy to use GDPR Checklist. Need help creating a winning strategy for content marketing, influencer marketing or video marketing? Our award-winning digital marketing services will help your audience find your work. Get in touch today using our Contact Us page – we’d love to hear from you. Also, if you've found this article useful, please share it using the social media icons below.